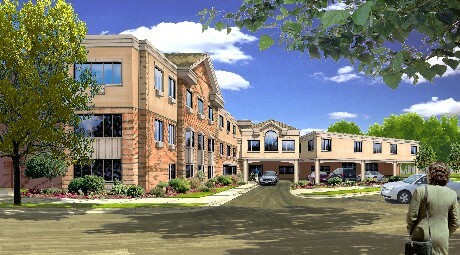 Heritage Green Nursing Home is a three-storey, 167-bed facility located on Isaac Brock Drive in Upper Stoney Creek, that provides seniors with a quality lifestyle in a home-like environment. Just south of Mud Street, we overlook the lush greenery of Valley Park and are located directly on the bus line for convenient accessibility. As part of the Greater Hamilton Region, we reflect our community in a number of ways. We have Canadian, Scottish, English, Italian, Polish, Hungarian, German, West Indian, East Indian, Oriental, and Ukrainian residents, to name just a few. We have a diverse staff as well, to serve the diverse needs of our residents. Heritage Green is a not for profit facility affiliated with the Seventh-day Adventist Church in Canada, and welcomes residents of all faiths. As a “Partner in Care” with us, we need you to know all you can about us so you and your loved one can feel comfortable living and working with us. We would like to take you on a brief tour of our facility to aid that process. Click on the links (buttons etc.) to learn more about us. We offer a mixture of private, semi-private and basic rooms, designed to keep patients comfortable and happy and offer them an excellent quality of life. Coupled with our top-tier care and facilities, we also offer support to you, the family. Our staff are your care partners, and we always encourage family members to participate fully in making decisions in the best interests of your loved one. For more information or to schedule a tour of our facilities, please contact us today. Our long-term care facility is designed for people who need some assistance in order to manage their day-to-day activities. These include seniors who need to be supervised due to Alzheimer’s disease or another type of dementia, or residents with a stable chronic health condition that can no longer be managed at home. Finding a place to call home for your loved one when they can no longer care for themselves is a difficult decision to make. We understand how important it is for you to know that your loved one is cared for in the manner that you would care for them yourself if you were able, and we make every effort to ensure their comfort and safety. Our experienced staff is expertly trained and passionate about providing quality care to your loved ones 24 hours a day. Our facilities range in level of care depending on an individual’s specific needs.